We’ve recently published an article with some basic tips on how to choose a bird cage. 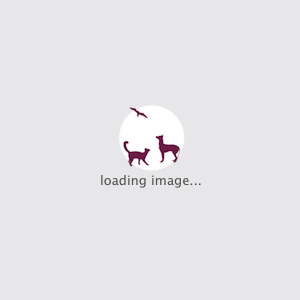 Are you still browsing the options? 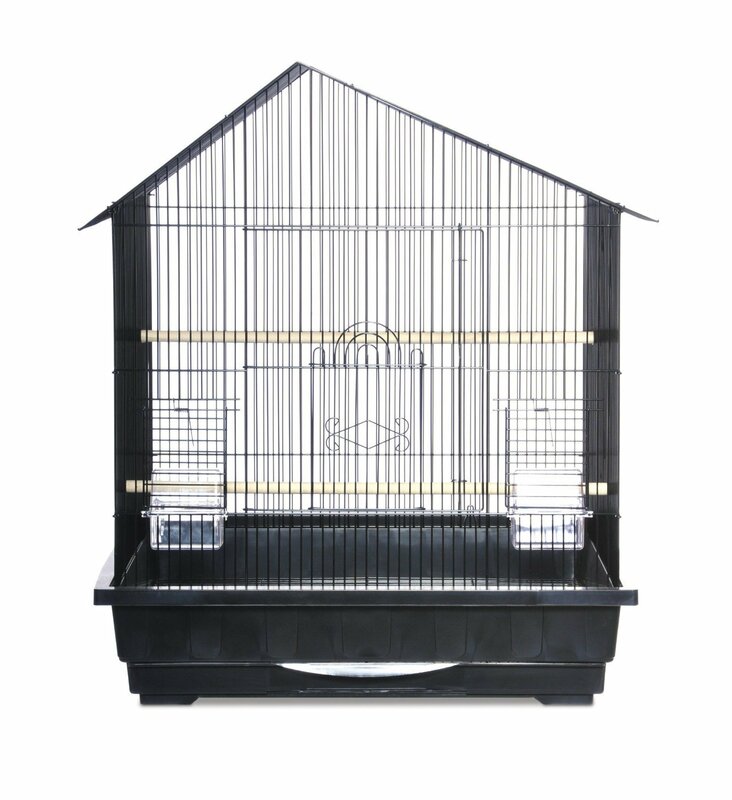 Then check out this wide selection of bird cages and choose the perfect one for your pet bird! 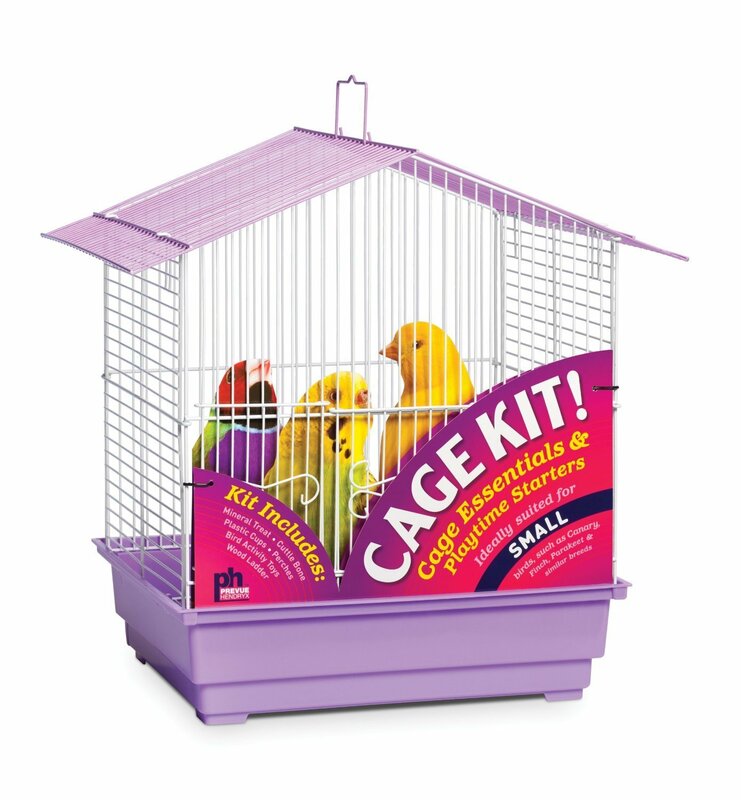 This cage has a non-toxic powder coated finish and 1/2 inches bar spacing. 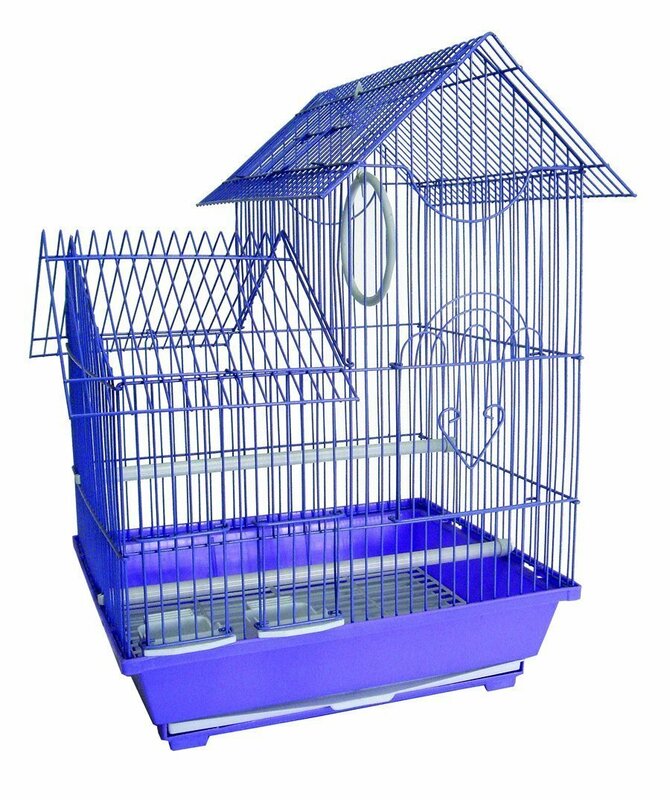 Its plastic bottom grate and removable plastic tray make cage cleaning quick and easy. This kit has everything your bird needs! Cups, perches, treats and toys are included. 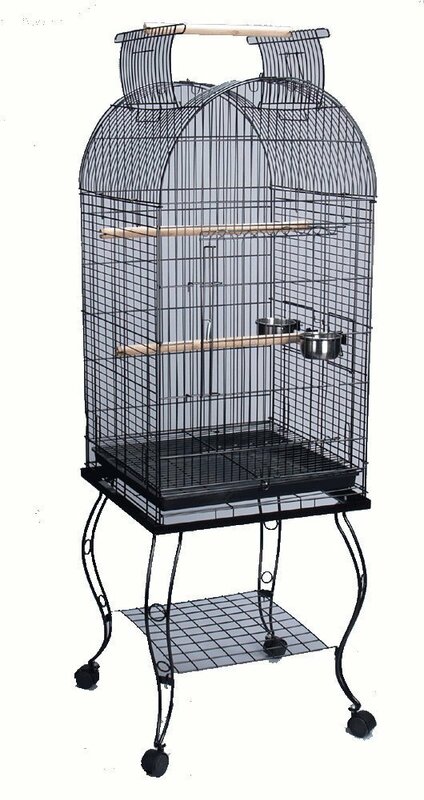 This cage is ideal for parakeets, cockatiels, lovebirds. 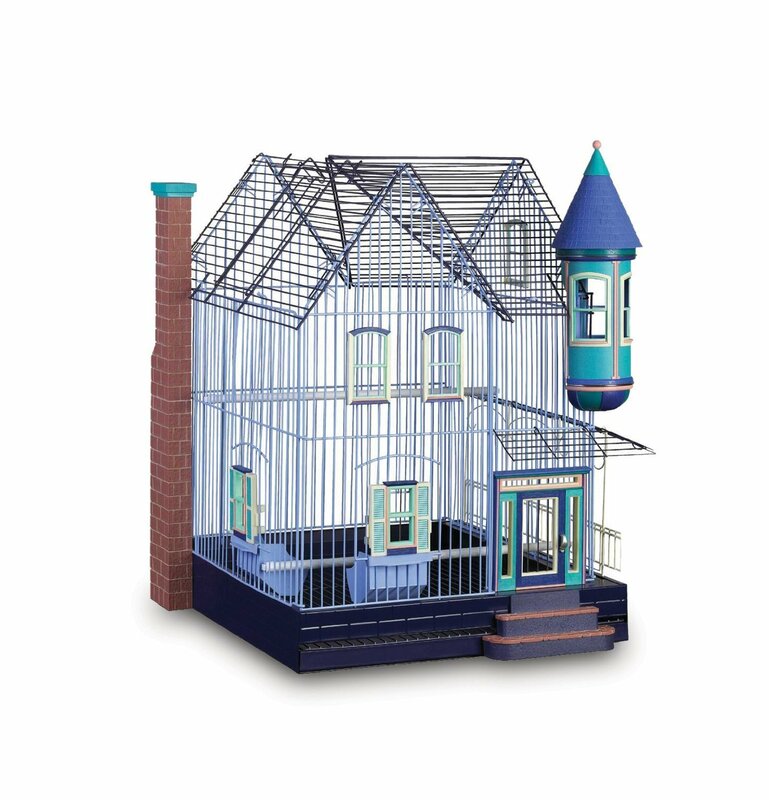 Expertly designed bird cage replicating the classic American Victorian architectural style. 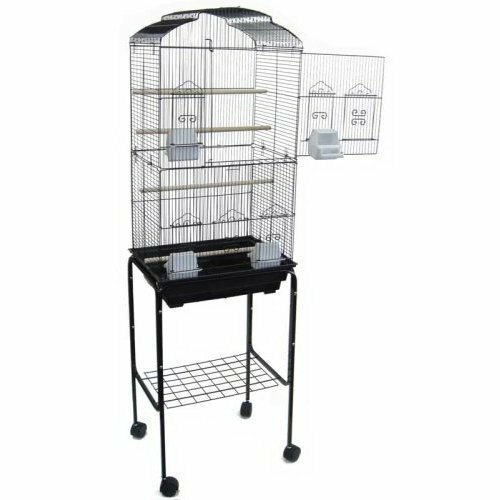 This cage includes: removable grate and tray for easy cleaning, seed skirt, two removable stainless steel feeding bowls, large front door with steel locking latch, two feeder doors, wire shelf under cage, wood perch, multiple feeder doors, four screw in caster wheels for easy moving. 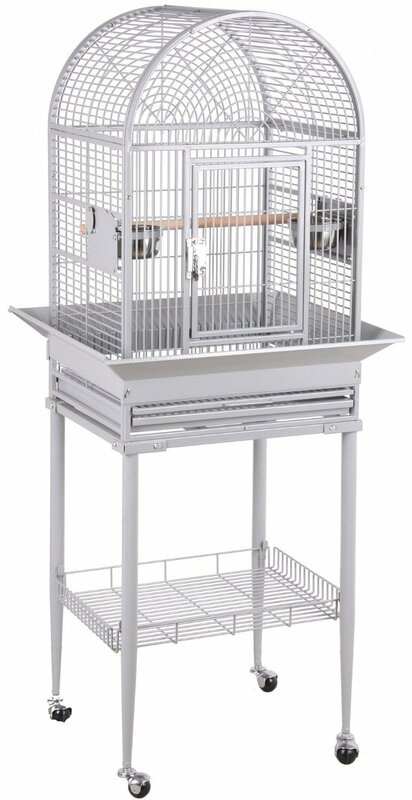 Includes: Feeder cups with feeder doors, wood perches, removable bottom metal grate & pull out plastic tray. 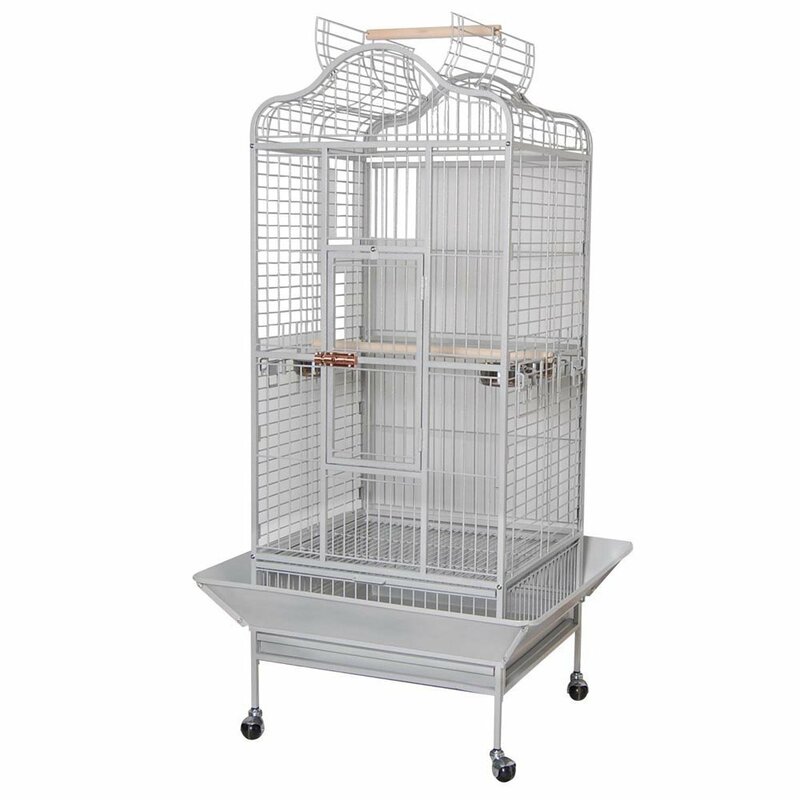 This cage is suitable for parakeet, cockatiel, african grey, conjure, cacique & etc. Three locking feeder doors and interior stainless steel feeding bowls. 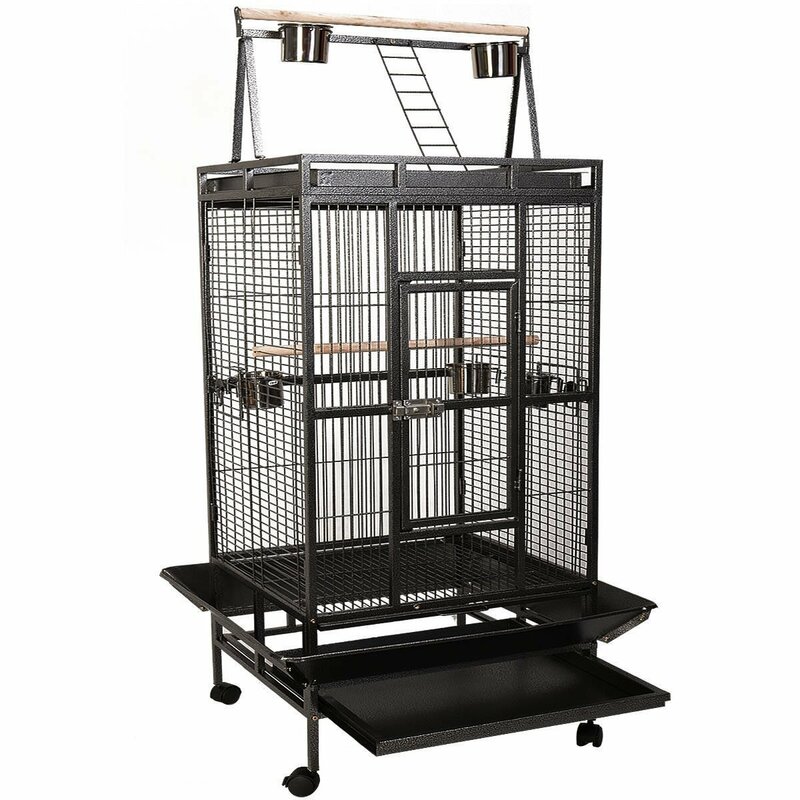 The Silverado macaw cage is the largest cage available from Prevue Pet Products. Three stainless steel, non-tip, bowls and one hardwood perch included. 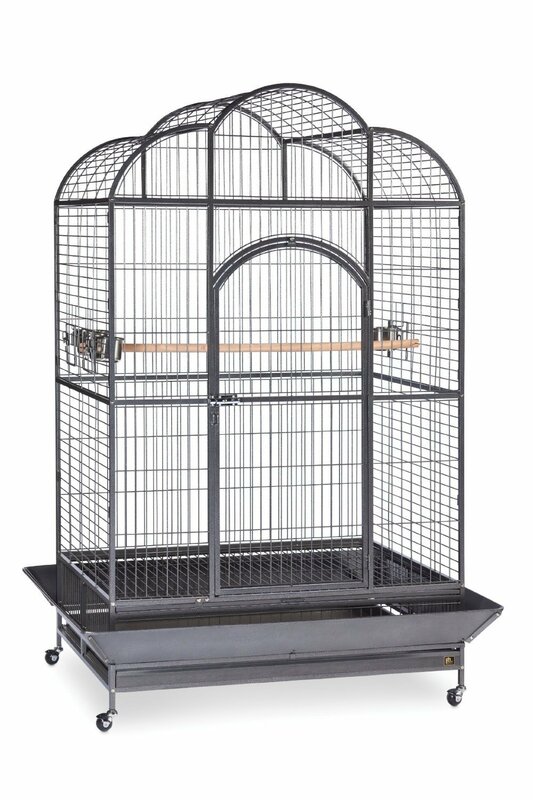 Ideal cage for Cockatiel, Parakeets, Quakers, Conures, Pionus, Caiques and Other similarly sized birds.